A man of wisdom, courage, commitment and strength, Brother Keith Muhammad is the Student Minister of Muhammad Mosque No. 26 and the Oakland,California representative of the Honorable Minister Louis Farrakhan. 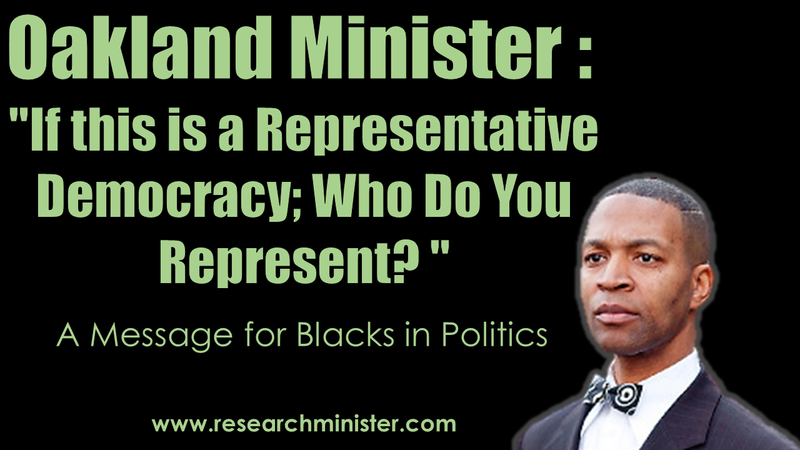 His powerful response to the recent flurry of propaganda based attacks against Minister Farrakhan is a welcomed feature today on ResearchMinister.Com. Please read, reflect, act and share with others. As the country celebrates the life of the Reverend Dr. Martin Luther King, Jr., let us remember that in his lifetime, he was a hated man. The FBI condemned him and followed their condemnations with investigations and counterintelligence actions which sought to disrupt, destroy and discredit him and the movement he inspired. He was convinced that he would be made to pay the ultimate price for his stand for justice, and in his final speeches, his messages were less politically expedient, and increasingly poignant in pursuit of justice for his suffering people. The Reverend Dr. Martin Luther King, Jr. was a child of a people ensnared deeply in the web of white supremacy, oppression, violence, ignorance and fear. His intervention into the struggle would lead him to Chicago to fight oppression, not only in the segregated South, but in the segregated, concrete jungles of one of America’s greatest urban cities. He could not effectively organize in Chicago without meeting with its most prominent Black leader, the Honorable Elijah Muhammad. Muhammad’s leadership was respected by friends, and enemies. His teaching and programs were considered the most effective in bringing reform to Black people and staging a new identity among those most afflicted by the affects of postslavery, Jim Crow America. Dr. King sat with the Honorable Elijah Muhammad. He defended boxing champ Muhammad Ali’s right as a conscientious objector to the Vietnam war. He proved his love for his people and paid the price of redemption with his life. Black elected officials should acknowledge that the man we celebrate with a federal holiday and a postage stamp is beloved for his faith and courage. 50 years from now, how will you be remembered? Dr. King, like you, was from time to time, questioned about the Honorable Elijah Muhammad and the Nation of Islam. Initially, before meeting Mr. Muhammad, he spoke carefully in defense of his belief in non-violence, as if this was in conflict with the often misstated views of Muhammad as a promoter of hate and violence. 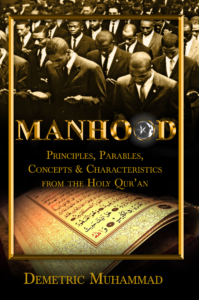 When he finally sat down with Mr.Muhammad, he emerged with him forging a great understanding, and with unity to fight poverty and oppression in Chicago. I am convinced that, like you, he was a victim of media propaganda and lies against the Honorable Elijah Muhammad. He learned the truth of him by meeting with him personally. Since that time, with legislation which gave rise to the Voting Rights and Civil Rights Acts, Blacks have been elected to the highest offices in the land. Certainly, this movement gave birth to Black mayors in major cities, Black governors, and led to the campaigns of the Rev. Jesse Jackson (1984-88) and the election of President Barack Hussein Obama in 2008. Now, with the largest membership in the Congressional Black Caucus, it is time to unite on the strength of truth. Now America is clamoring over the direction led by President Trump, who made his name politically by falsely accusing the Central Park Five, challenging the birthright citizenship of Barack Obama (because American born slaves wear slave names, like Green or Meeks, and are not free to wear original names without permission), and winning election to the highest office in the world’s greatest nation in the midst of the turmoil of alleged corruption and collusion. Why would any Black elected official use your positions, in a representative democracy, to raise your voices against the most preeminent Black leader of the last 3 decades? Black communities throughout the country are plagued by poverty, oppression, high crime and murder rates, and injustice from the justice system. You call Dr. King’s name joyfully this time of year, why don’t you adopt more of his ways? Dr. King demonstrated courage to meet the Honorable Elijah Muhammad and they emerged from their meeting as brothers. Why are you afraid of Louis Farrakhan, a man with 64 years of service to our people? Black members in the congress: most of you represent districts with strong Black populations. When you voice lies against the Honorable Minister Louis Farrakhan, did your constituents demand such statements condemning the Minister, or are you voicing concerns from someone else? If this is a representative democracy, whose interests do you really represent? I, as a student of the Honorable Minister Louis Farrakhan, have dutifully served our community out of love from him for 28 years. I have sat in countless meetings with members of city councils, county supervisors, mayors, State Assembly, governors, and members Congress; and not once have any stated that I, or my teachers, are racists, bigots, homophobic, or anti-Semites. Every Black elected official in areas of large Black populations recognize the value of the Nation of Islam and the Honorable Minister Louis Farrakhan’s impact on local politics. As a student of the Honorable Minister Louis Farrakhan, I have been acknowledged by your contemporaries for our work on his behalf. The governments of the State of California, Alameda County, and the City of Oakland, have all given me public appreciation, passed legislation and offered proclamations that Islam, taught and led by the Honorable Minister Louis Farrakhan, has been a positive contributor to civic life in America. I am grateful for the acknowledgment, but I know that the praise belongs to Allah (God) for the Minister, whose love sent me, and others like me, to serve our people. I am Louis Farrakhan. Many times, Muslims have worked alongside Black elected officials to participate in the democratic process with you as citizens and supporters of your campaigns. We have hosted political rallies. We have secured members of local, state and federal government. We have toured the toxicity filled wastelands called Bayview Hunters Point in San Francisco. We have walked with you to stop the violence that plagues the inner city. Together we have fought police brutality and unnecessary uses of force. We have worked together, with Black elected officials to amend California laws relating to police accountability and oversight. We walked with the family of Oscar Grant, from start to finish, in pursuit of Justice, even taking the matter to the Congressional Black Caucus convention in 2010 in a televised event with the support of then House Judiciary chairman, the Honorable John Conyers. Why should any Black elected officials, all of the sudden, feel the need to condemn the Minister today? What happened? The Minister has a 64 year track record of love for his people and that includes public, and private, meetings with Blacks in politics. Not once has he condemned you. Even when Black elected officials, like you, are often accused; whether the allegations prove true or false, Farrakhan defends you. He always gives you the benefit of the doubt. He never condemns you in the court of public opinion. The Minister recognizes that the same dirty tricks played against Black leaders yesterday; since the well documented FBI targeting of Martin Luther King Jr., Marcus Garvey, Malcolm X, the Black Panther Party and the Honorable Elijah Muhammad, are still if full effect today. Tamika Mallory, when confronted by the Farrakhan Litmus Test passed in 2019; the same test failed by many Black leaders in the 1980’s. The media driven lie campaign against the Minister has produced the greatest climate to kill a man, Louis Farrakhan, in the history of America. Remember, as the Jewish Defense League led protestors and chanted, “Who do we want? Farrakhan! How do we want him? Dead!” Did you raise your voices against their threats of violence? The silence of Black elected officials voices against violence and hatred of Louis Farrakhan was/is deafening. Thank you, Ms. Mallory for not contributing to such a hateful climate. Where were the Black elected officials statements on the threats leveled against the life of the Minister? The lies told against the Minister are bold and horrific. Yet, you have not spoken out against them. Why? Do you really believe the lie that the Minister called for death to anyone? In fact, you really can’t speak to what you charge the Minister with because you know it’s not true. You know that the Honorable Minister Louis Farrakhan speaks inconvenient truths that most politicians don’t see as politically expedient. Since 1984, the onslaught against the Minister has been consistent. If any Black elected official is concerned about things the Minister has said, call him or his representatives in your city, and get an understanding. Why participate in efforts to scourge and crucify a man that has done no wrong? Who do you represent in this representative democracy? What is compelling you to accuse a man that you, and many others have sat down with, and dined at his table? What is the driving force behind your sudden epiphany that the Minister, and those who follow him, are these wicked things you send out in Tweets? Why don’t you come home to the district you claim to represent and face your community that elected you and make your case against the Minister? We are waiting. This is no time for political correctness and expediency. With your false allegations, you are attempting to create a climate for the assassination and/or false arrest of our community’s strongest voice of freedom, the Honorable Minister Louis Farrakhan, National Representative of the Honorable Elijah Muhammad and the Nation of Islam.